WhiteBoard Mini (mswwcwhtbrd) at Pure Design / Accessories / Organize ::: Furniture for the Home, Office, Home Office, and More at Pure Design Online! 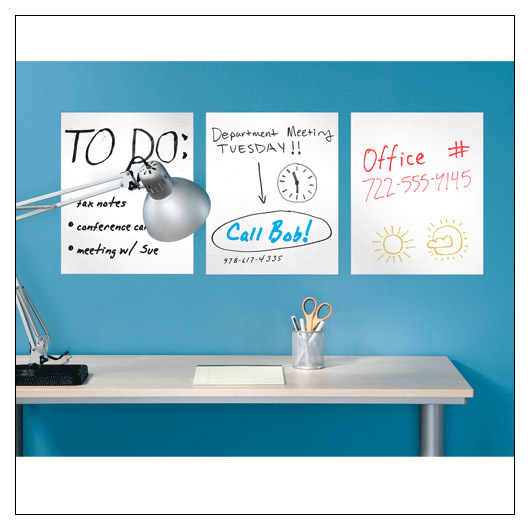 Use the peel and stick whiteboard wall decal anywhere around your home or office. Line them up side-by-side, to create one big writing surface! What's Included: 3, 9"x12" whiteboard rectangles. Pens not included. ** Tip: It's not just for the classroom or office, use it in the bathroom or kitchen at home!